ProVista™ is a game-changing, new St. Augustine variety based on the proven genetics of Floratam and developed by Scotts Miracle-Gro with over $100 million and 20 years of research and development behind it. Backed by Scotts, ProVista™ makes it possible to have beautiful turf with complete weed control and half the mowing. 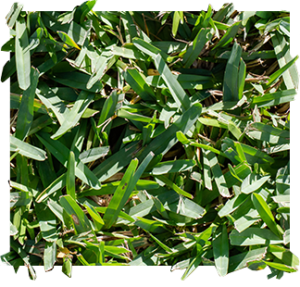 ProVista™ is the first glyphosate-tolerant turf on the market, allowing you to eliminate costly weeds like Bermuda grass and torpedograss without damaging your ProVista™ turf. Thanks to its dense, horizontal habit, excellent uniformity and weed-free capability, ProVista™ makes it possible to cut your mowing in half, delivering valuable savings in time, money and flexibility. Scotts ProVista™ has a deep green color, thrives in full sun and exhibits improved performance in moderate shade. Given its Floratam background, ProVista™ does not require any special care but delivers exceptional benefits in terms of aesthetics and ease of maintenance.